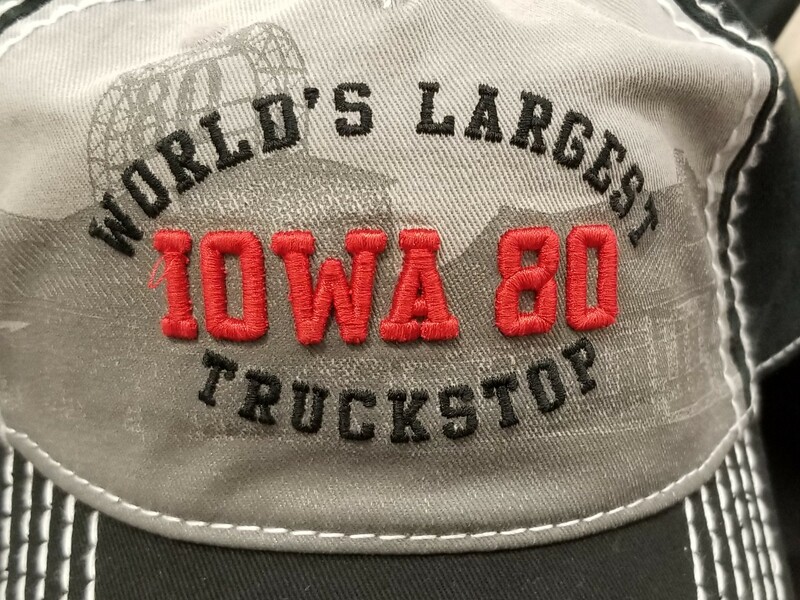 It’d been several years since I’d stopped at the Iowa 80 TA Truck Stop. If you are not aware of this particular truck stop you may wish to look it up. This is the world’s largest truck stop as well as the world’s largest chrome shop. If there’s a piece of chrome or a set of lights that you want to add to your truck you’ll find it here. You will also find a large selection of restaurants, a movie theater, barber shop, chiropractor, laundry mat… basically you will find everything you need here under one roof. After spending a bunch of time looking at chrome and lights I decided that I needed to eat. After looking at the selection of fast food available I made the decision to sit down at the counter at The Iowa 80 Kitchen. A $12 mushroom and Swiss burger and fries stuffed my belly. I would say that this was one of the better tasting burgers that I’ve had in awhile. I definitely recommend eating here. The sign is simply too large to get a proper selfie.